Several factors seem to contribute to this growing epidemic. This insidious disease is one of the leading causes of malnutrition. Loss of independence and mobility, chronic pain, changes in social networks and failing health often contribute to depression and the intense sorrow, apathy, and hopelessness that accompanies it. Eating alone on a regular basis is also a common factor. Dietary concerns due to chronic illnesses can lead to decreased intake of nutrient-dense foods. This may be due to diabetes, heart disease or intestinal disorders. 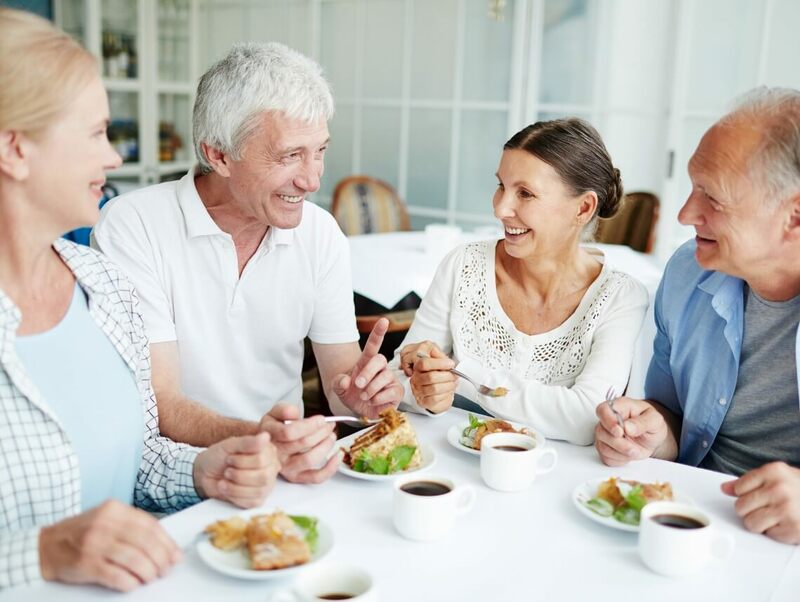 Lack of nutrition may also be due, in part, to the inability to eat the necessary foods due to poorly fitting dentures or other dental concerns. The elderly may choose to eat less due to the loss of senses such as taste or smell. Medications often alter a person’s ability to determine when they are hungry. Increasing loss of mobility and possibly the inability to drive may lead to a decreased desire to get out to the store to obtain the necessary food required for good nutrition. A limited income may also be partly responsible for this issue. Choosing to drink alcoholic beverages in excess can contribute to malnutrition. As is evident, there is a multitude of reasons for the increasing concerns about elderly nutrition. This lack of nutrition, in turn, leads to various health concerns such as a weakened immune system, muscle weakness leading to falls, and diseases associated with decreasing nutritional levels. As a family caregiver, you are the one most likely to notice daily changes in your parent’s eating habits as well as weight fluctuations. If they seem to be picking at their food, ask them directly about any issues they may be having with eating or how they are feeling emotionally. If they seem despondent, schedule weekly get-togethers with family and friends. If they live far away, consider scheduling weekly video chat sessions that help your parent feel loved and cared for. Consider spending a few nights a week sharing a meal with your parent. Check into the local senior community center for shared meal times. If you notice weight changes, such as unintentional weight loss, make an appointment with their primary health care provider to rule out any underlying medical conditions. Be sure to take a list of all their medications to determine if any of these could be the underlying culprit. Encourage regular exercise and promote foods that are nutrient-dense such as avocados, nuts, whole cheeses, and dairy products. Consider food delivery systems such as Meals on Wheels or Silver BistroMD. If your loved one needs help with the grocery shopping and preparing healthy meals, consider obtaining the services of an elderly care provider. Not only can they assist with the daily activities of living, but they can also provide that all-important companionship so important to the elderly.